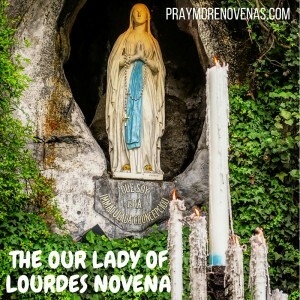 Here’s Day 4 of the Our Lady of Lourdes Novena! As I read the intentions for this day, brings tears to my eyes, as I pray my nephew, LD and his wife, CD, return to the Catholic Church, with a deeper faith, participation and involvement. Change their hearts Oh Lord, I pray. Bless them with beautiful, healthy, normal, strong holy children, with a quick conception, smooth pregnancies, and safe, fast, healthy, uncomplicated deliveries. Strengthen them both with your Holy Spirit. Keep them safe healthy and happy. Our Lady of Lourdes intercede for us. St. Bernadette pray for us. St. Monica pray for us. St. Gerard pray for us. DEAR BLESSED MOTHER AND ST BERNADETTE PLEASE PRAY AND INTERCEDE TO OUR LORD JESUS CHRIST SO RIMPY S CAN IMMEDIATELY GET THE FUNDS SO SHE CAN GET HER CONTRACTOR LICENSE ONLINE AND ANGIE N AND SHE CAN BEGIN THEIR BUSINESS SOONER THAN ANTICIPATED. PLEASE BLESS CHRISTOPHER SO HE CAN HELP THEM WITH THEIR BUSINESS AND THEY CAN BECOME VERY CLOSE FRIENDS AND MAKE A LOT OF MONEY. PLEASE PRAY FOR JONATHAN H TO GET THE COURAGE AND STRENGTH TO CALL RIMPY S SO HE FALLS IN DEEPER IN LOVE WITH HER AND BEGINS DATING HER IMMEDIATELY. PLEASE BLESS PRESIDENT TRUMP SO MORE AMERICANS NOW SUPPORT HIM, RESPECT HIM AND HELP HIM BUILD THE WALL. WE LOVE AND TRUST YOU. THANK YOU, AMEN! Thank you for hearing our prayers and concerns. Please take care of our children. Everyone, Please pray your Rosary! Dear Sweet Holy Mother pray to our Lord Jesus to please heal our child Hayley who has been battling this illness for so many year. Please if it is God’s will that she may be completely healed in all ways. Pray for us little St.Bernadette. Dear Blessed Mother, please ask Jesus to heal my family and I, Spiritually, mentally, physically and emotionally. Please heal us of heart disease, depression, anxiety, diabetes, colon problems, sciatica, asthma, allergies and TMJ. Holy Mother, intercede for me to our Father to help me find out what is causing my rash and the terrible itching. Dear Bless my brother Richard Paul. That he find peace and for myself that we can find the right meds to help us. I also pray for family unity. And my Daughter Amy to have a safe trip. Amen. Blessed mother I place my financial needs into your hands I pray for my husband and my marriage. I pray that my husband would join us on our family trip. I pray for Devine intervention. Pray my nephew and his wife return to the Catholic Church with a deeper faith, involvement and participation following Jesus Christ. Bless them with beautiful, healthy, normal, strong children with easy conception, smooth pregnancies and uncomplicated, safe, and quick deliveries. Strengthen CD and LD with the Holy Spirit, keep them both safe, healthy and happy. Guide my husband and me with wisdom as we embark on the new addition on our home, to choose the right contractor, with the right price and right time.